We have a soft spot for statement jewellery and love the idea of collecting an assortment for all occasions. 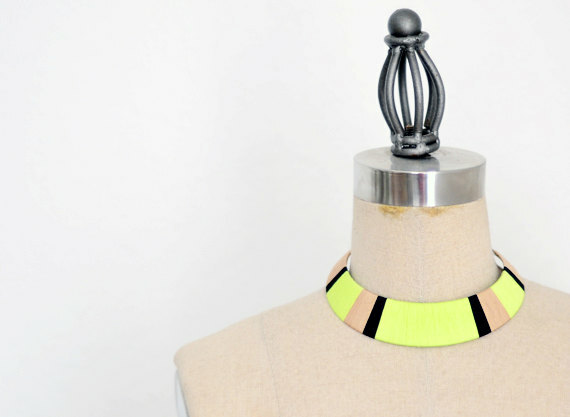 With the summer months in our near future this African inspired bib necklace seems perfect for a little exposed skin with double wrapped neon thread bringing the hottest trends together in one great piece. Check it out from The Glossy Queen.